Encounter Journeys are about a lot more than touring Israel …. Encounter Journeys are intended to give you personal space and time to soak up the Biblical heritage in Israel and to come to a fresh encounter with Jesus that you will find enriching and restoring. So we seek to avoid the hustle and bustle normally associated with touring – the early mornings, the rushing on and off coaches, being herded through places where we really want to stop and absorb, the feeling of being lost in a crowd …. Encounter Journeys run over 12 days, giving you an extended period in Jerusalem (5 nights) and by the shores of Lake Galilee (6 nights). This gives you the opportunity to enjoy times of rest and personal reflection, in between the unhurried schedule of visiting sites. Our guides, who are local believers with a heart for ministry, provide excellent and detailed information that will help you understand the historical and Biblical context and significance of the places we visit. 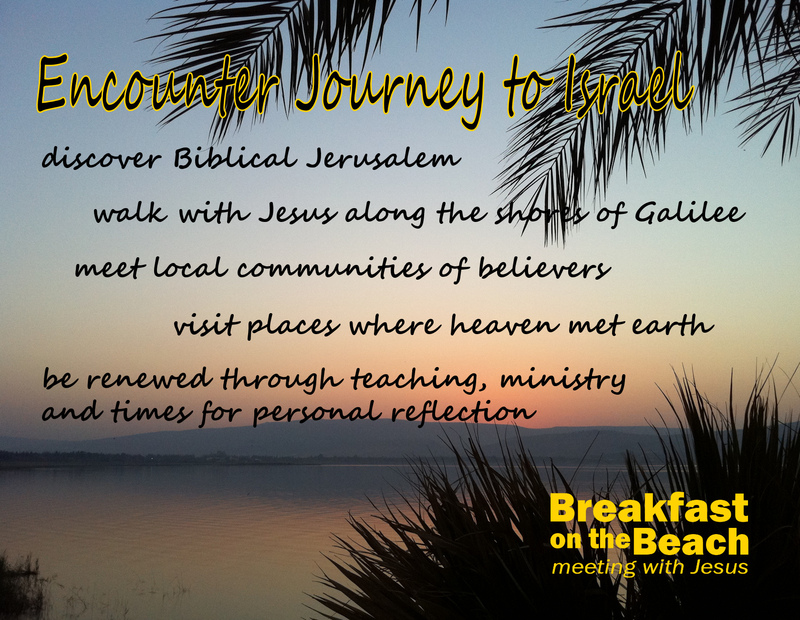 As part of Breakfast on the Beach ministries, Encounter Journeys include teaching to encourage and deepen our faith and to help us gain an insight into the prophetic significance of Israel and to broaden our understanding of God’s unfolding purposes in the history of his church. There are also opportunities for prayer and ministry for individuals. You will be able to meet with local ministries and groups of believers. And of course, experience a rich variety of food and cultures. then this is the Journey for you! Click here to read what others experienced. Contact us through the form below, to register your interest in the 2014 Journey. We will contact you as soon as details are finalised.